Bothered by Sagging Facial Skin? Your face provides the world with a lasting impression of who you are and how you feel. But, it doesn’t have to tell your age. For many of our patients, the “wind-tunnel” look caused by overly taut skin following a facelift is no longer acceptable. They desire a more “natural looking” rejuvenation. Busy patients demand more immediate results with little, if any, downtime, smaller incisions, no visible scars and no potential for hair loss. Our S-Lift patients love the fact that after their surgery, they don’t look like they had surgery. They just look great and years younger. Is S-Lift Right for Me? At Florida Cosmetic Surgery Center, our plastic surgeons perform the S-Lift, a mini-facelift, for patients in the Orlando region to provide an overall lift to your neck and the lower third of your face. 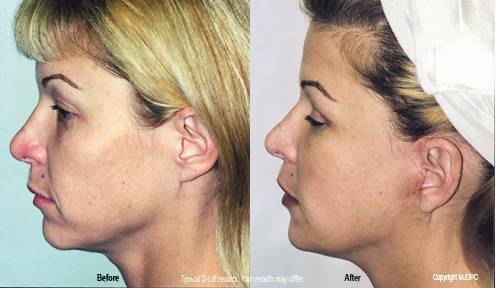 Compared to a traditional facelift, it is a quicker operation with fewer complications and a much faster recovery. The S-Lift is particularly well suited for middle-aged and younger patients and can make a dramatic change in the way you look by tightening sagging muscles and skin of the cheeks, chin and neck. An S-Lift is performed using tumescent local anesthesia and may be combined with facial and neck liposuction. Results from your S-Lift can be further enhanced with subsequent laser resurfacing to smooth wrinkles and provide greater skin contraction. 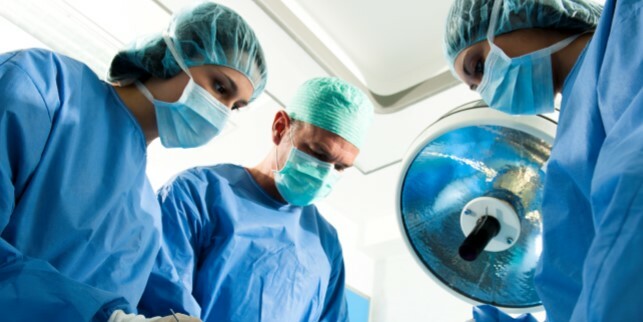 At Florida Cosmetic Surgery Center, the S-Lift procedure is performed as an outpatient surgery. Pre-medication is generally recommended to relax the patient. An S-Lift is performed using a special anesthetic solution, which is injected in the area forward of the ears. 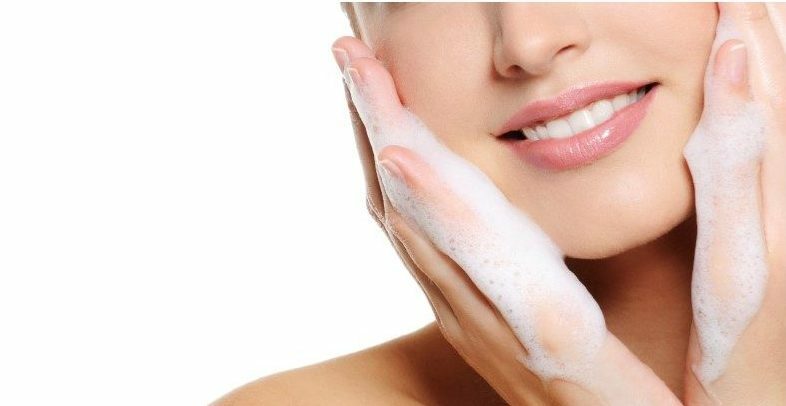 This fluid gently lifts the skin from the underlying tissue. Operating on one side of your face at a time, your Florida Cosmetic Surgeon excises a narrow “S”shaped section of skin from the area forward of your ear. The skin is lifted and the surgeon tightens and repositions the underlying muscles and tissues. Excess fat is removed, and the opening is closed using fine sutures. The procedure normally takes less than two hours. What are the Benefits of the S-Lift Procedure? Following surgery, the normal aging process resumes. Your lifestyle choices, bone structure, skin type, sun exposure and heredity all play a part in determining how many years can be removed by the S-Lift procedure and for how long. In general, younger patients enjoy longer-lasting results. Is the S-Lift for You? If your excess or lax facial or neck skin is bothering you, an S-Lift may be your answer. Your doctor can help you decide the best treatment to obtain your desired results. How will I Look after Surgery? After your Florida Cosmetic Surgeon performs your S-Lift, the changes can be dramatic. The use of smaller instruments and fluid to separate the skin from underlying tissue results in an almost bloodless procedure. After your procedure, you will go home and rest for at least twenty-four hours. There may be some minor bruising and swelling for one to two days. You will wear a small bandage over the incision site for the next two to three days. Mild pain relievers may be needed. After that, you may take a shower and wash your hair, and men may shave their face. Sutures will be removed after six to seven days. Direct sun should be avoided for several weeks. Most of our OrlandoNatural™ S-Lift patients resume normal activities after four to five days, some choose to return to work immediately. Our S-Lift patients love the fact that after their procedure, they don’t look like they’ve had surgery. They just look great and years younger.